There are some major changes that have occurred in the last few weeks for me and as a result will change things for SEO Aware. I was offered a job as the Managing editor of SearchEngineJournal.com and I decided to take it. I have read SEJ forever and have respected what they offer since day one. SEJ offers fantastic information for those who work in this industry and for those that are attempting to manage SEO or Social Media for the companies they work for. We will be keeping our current monthly clients and new clients will be chosen carefully. I have begun other profitable ventures as well, so my time is very limited. I am very excited about this new opportunity and my goal is to make the owners of SEJ proud. 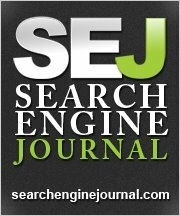 Now go read SearchEngineJournal.com!